This Review Will Teach You Everything You Need To Know About Spacious WordPress Theme. The Entrepreneurs Gateway Team Leave No Stone Unturned In This Definitive In-Depth Review. Pros, Cons, How Spacious Compares Against The Competition And Ratings. Does Spacious WordPress Theme get the EntrepreneursGateway.com’s seal of approval as being one of the best WordPress Themes on the Market? 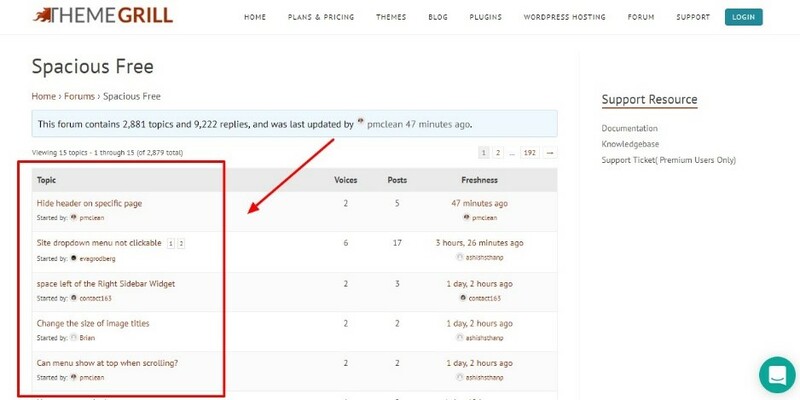 If you’re looking for a new WordPress theme , you’ll love this review. It is suitable for blogging, business several other websites and is professional, authentic, versatile and serious all rolled into one. 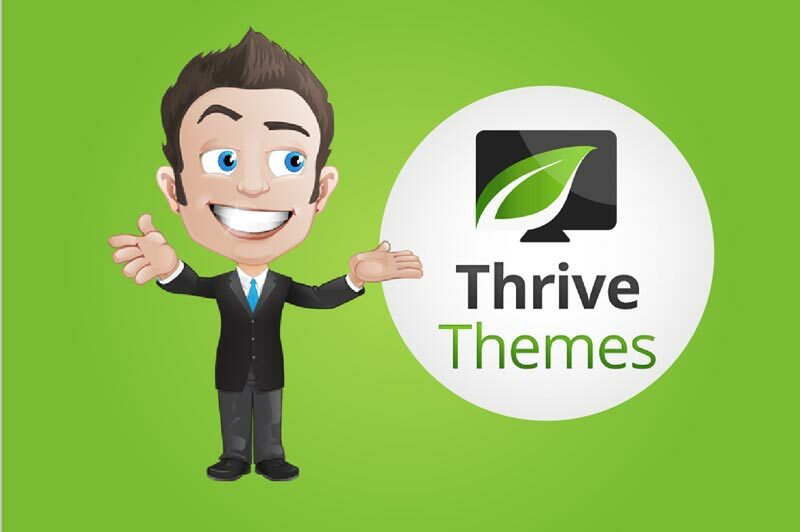 It really is great value for money as it offers free themes and even by upgrading to the pro version (the only other plan) all the extras are included – definitely, money well spent. Spacious is a great multi-purpose WordPress theme for beginners, as it’s easy to use and can help construct a professional website for any company. Help and support is available via the free support forums, however, with no guaranteed response times, a swift response time is not guaranteed. 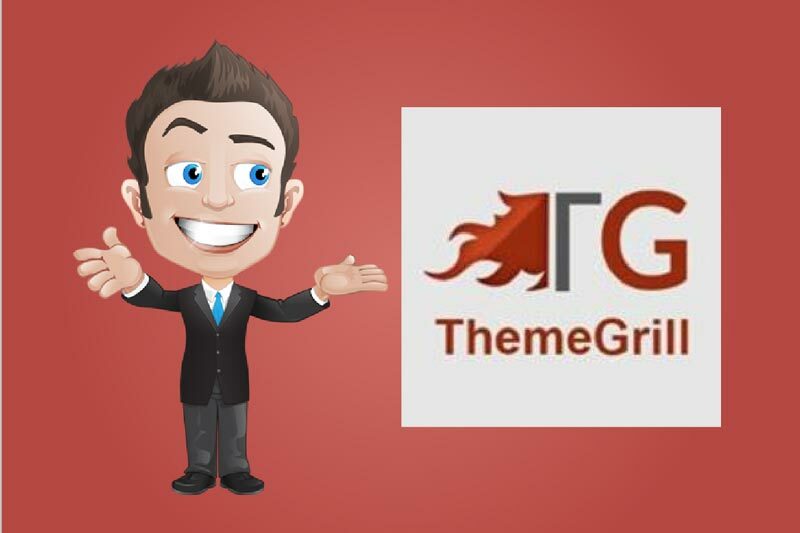 Spacious theme is a beautiful, multi-purpose, business WordPress theme created by ThemeGrill. Yes it’s simple, and best of all it is FREE !! 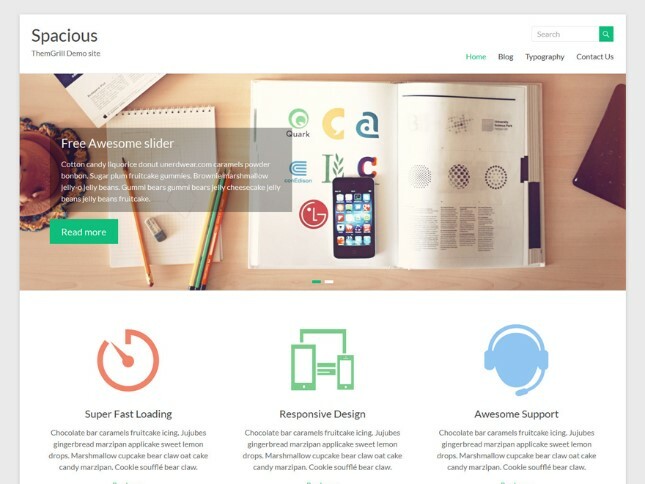 This theme has lots of useful features, superbly responsive, with a great design. It is suitable for blogging, business several other websites. It is professional, authentic, versatile and serious all rolled into one. It’s sophistication, class, and style mean that it is a perfect WordPress theme for corporate and business sites. Let’s get started and have a look at what Spacious Theme has to offer and see how it compares with other popular alternatives. I will share my experience with you as I use this WordPress Theme, together with all the things I like and dislike. OK, so let us discover just how simple it is to set up and install Spacious WordPress Theme. You shouldn’t have to spend hours learning another software tool. You can easily customize the appearance of your WordPress site by using all the features Spacious has to offer. The options are easily accessible, by going to appearance, and clicking on Customize. You will also find the theme documentation links and support here. If you navigate to ‘Appearance,’ ‘Customize,’ then ‘Design,’ you can select your color theme and layout options. By clicking on ‘Site Layout,’ you have the option of a wide layout or a boxed layout in various sizes. There are various options available under Appearance, Customize and Default. You have the choice of boxed layout that has centered content, or full width layout, with the sidebar either on the left or right. 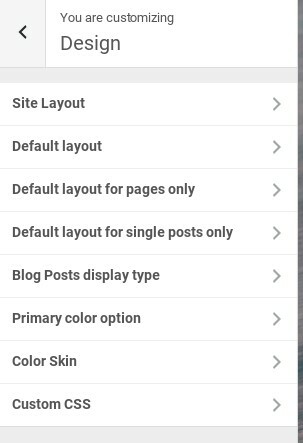 Both single pages and posts can feature different layouts from a default setting. The appearance of featured images on a main blog page can be customized by clicking on ‘Appearance,’ ‘Customize,’ ‘Design’ and ‘Blog posts display type.’ The options for the ‘blog image medium’ show a reduced, left-aligned thumbnail, displaying the post excerpt on the right. The ‘blog image large’ option displays a bigger thumbnail with the post excerpt below it. Left and right aligned thumbnails are alternated by clicking on the ‘blog image alternate medium’ option. The theme has been tested by the developers, using all major browsers. It’s a big thumbs up for all device responsiveness. Does it provide you with a choice of templates to make your website stand out from your competition, and what other features does it offer to entice you? With many themes, you either get offered too many options or not enough. 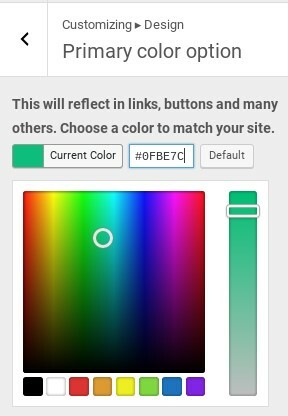 It isn’t necessary to adjust the coloring of every element on every page, but to give your site a unique look that coordinates the color scheme of your website with your branding, you should have the option to change your primary elements. Spacious provides you with precisely the right amount of options that you need. To select a primary color, click on ‘Appearance,’ ‘Customize,’ ‘Design’ and ‘Primary Color Option.’ When you have chosen the color, this will be used for buttons, links and other accents within your sites. Remember, you also have the option of selecting a darker or lighter theme. To do this click on ‘Appearance,’ ‘Customize,’ ‘Design’ and ‘Color Skin.’ A good thing to bear in mind is that people prefer reading dark text on a lighter background as it doesn’t strain their eyes. Spacious has 13 different widget areas which give you loads of content control. A business middle left sidebar, business top sidebar, business middle right sidebar and a business bottom sidebar is also included. With these widgets, you can add content to the ‘Business Template’ page. Testimonial: a blockquote will be displayed with name, title, and by-line. If you choose to go with Pro version, more widgets are included. A homepage slider is supported within the Spacious theme. The free version allows you to add no more than 4 slides. 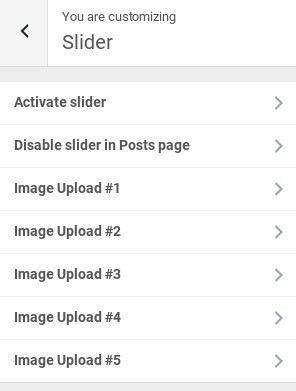 You can customize the slider by clicking on ‘Appearance,’ ‘Customize’ and ‘Slider.’ You can set title, button text, description and button link for each image. If you want to create an image slider that has no links, leave the link fields and button text blank. What are the other features included with Spacious Pro? The great thing with Spacious is that there are myriad of widget areas allowing you to create facilities for your users. Service widgets enable you to create a service page that highlights a featured image. Spacious is eCommerce, compatible with the WooCommerce plugin. What you will need to do is to get the plugin installed, then add your products and methods of payment, etc. 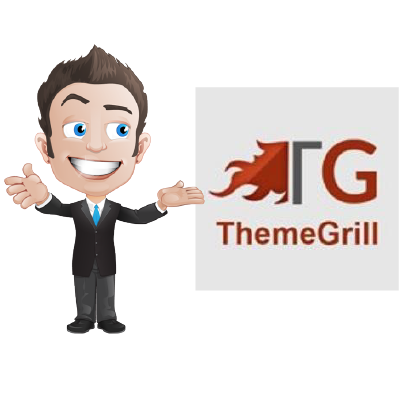 On the ThemeGrill site, there is a guide to help set up the Spacious theme, and get going. The interface is user-friendly and combined with the documentation, generally fills all blank spaces. If you do need support, there is help available on their free support forums. However, there is no guaranteed response time, and replies can take a couple of days to come through. If you have purchased Spacious Pro, you have access to premium support with the option of opening a support ticket. Spacious is a theme that is totally search engine ready. You will move quickly up the search result ranking due to its SEO readiness. Spacious comes with only two price plans, the first being FREE, yay!!! And the second coming in at a modest $69. Now, does this all sound too good to be true? Well, honestly in this case it isn’t. To keep things really simple, I’ve listed what features are included in Spacious FREE (yay!!) theme and the Spacious Pro Theme. As you can see from the table above, the FREE version of Spacious includes all the necessary features, and even at $69 the Pro version is exceptionally excellent value for money as the color and fonts that are included are incredible. Is Spacious the Right Theme for You? 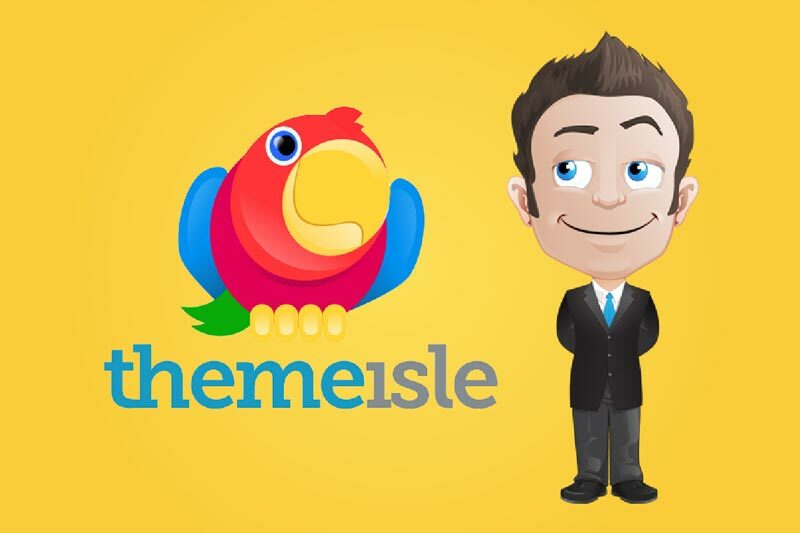 With every Theme provider, you find there will be ones best suited for some, yet not for others. Each one is different! Hence why there are so many! Spacious really is a fantastic WordPress theme and the best part is…it’s FREE, making it a perfect choice for those on a budget. Even if you choose to upgrade to the pro version, (which by the way is $69), for all the extras that are included, it is definitely, money well spent. There is no doubt that Spacious is a great multi-purpose WordPress theme for beginners, as it’s easy to use and can help construct a professional website for any company. The options for design here are limitless, especially for newbies starting out or for someone who has a little more knowledge and wants to expand options through CSS coding. Those marketers who are looking for more advanced options will probably need to consider looking at the pro-version of the theme, or the possibility of using plug-ins to get the features that they really need. The Pro-version will allow you to customize almost everything, from the look of the page and post, to the look of the entire website. It comes with infinite color options, as well as all the Google fonts available. Spacious is a really simple, functional and multi-use theme which can create sites promptly. It is straightforward to use and to customize. It is a fantastic FREE WordPress theme which can help you construct a professional website for your business needs. And for those users who prefer/need more advanced options, together with one on one support, then a pro version of the theme is available. Are you going to purchase Spacious or are you already using it? Feel free to leave a comment below and we can see if I can help…. 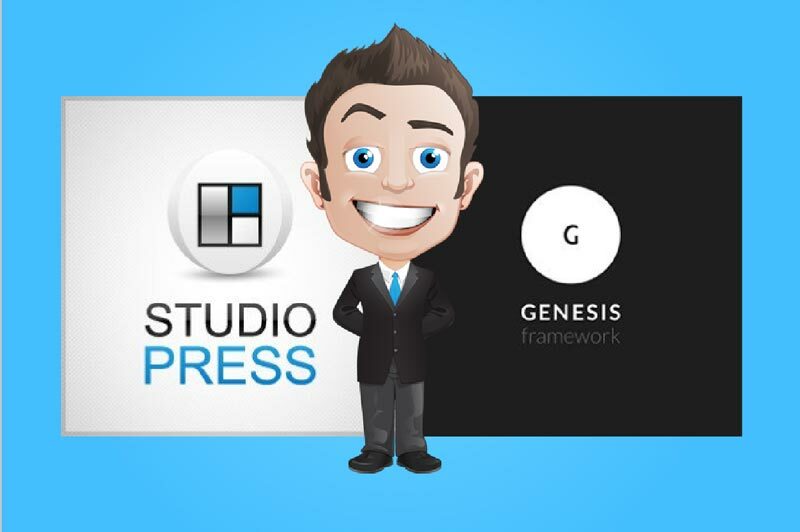 or check out the other reviews like Thrive Themes or Genesis!